Communications on Applied Electronics (CAE) solicits research papers, technology surveys/reviews and technical reports for the interdisciplinary areas related with electronics/communications and its various applications. 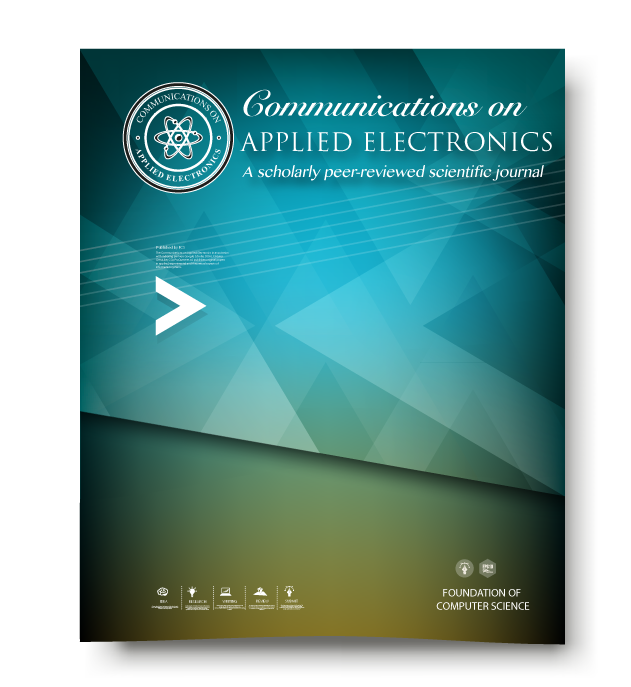 The goal of the CAE journal is to publish the most recent results in the development of system aspects of electronics and communications. The manuscript/ paper can be submitted via email to editor@caeaccess.org. The email must bear the subject line "CAE: Paper Submission"
CAE adheres to strict conformance with a pre-defined paper template. All the camera-ready papers must conform to the CAE paper template. Conformance is mandatory for indexing in Google Scholar, ProQuest CSA Technology Research Database, Harvard Univerity database and ADS. Once any manuscript is selected for publication in Communications on Applied Electronics, the authors must submit the copyright transfer document to CAE. The copyright form is available from this link.